Welcome to our stunning Portobello Frame. 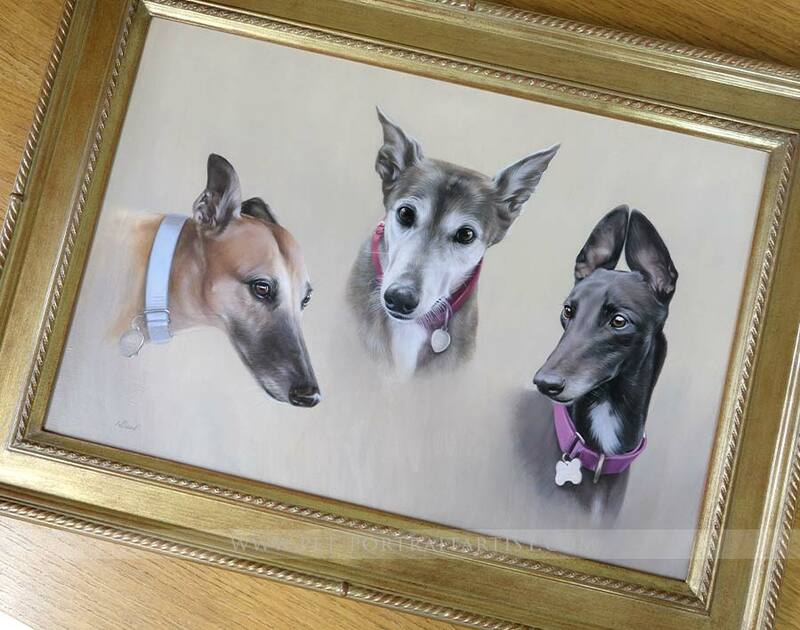 This is one of my personal favourite frames in our moulding range. 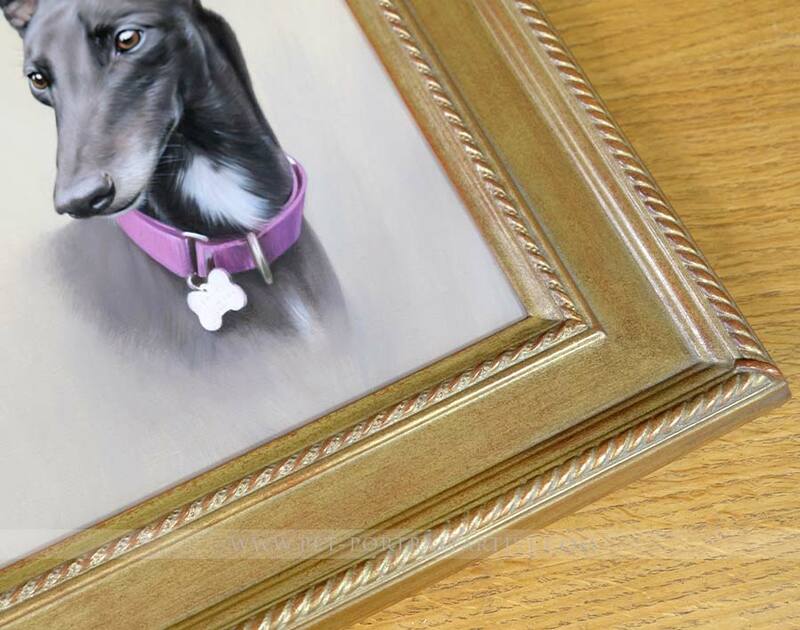 It is officially classed as bronze, however when you view the frame it has flecks of gold and bronze and some reddish under tones, so the whole overall feel is really rich and warm. 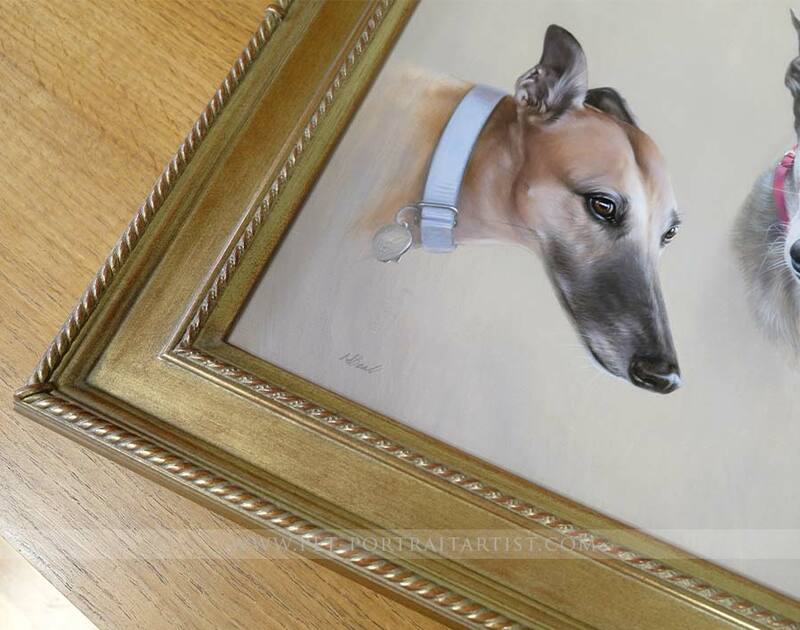 The moulding is just over 3 inches wide and so suits larger sized portraits, from say 16 x 12 and above - although I do love large frames on small paintings and the Portobello frame is no exception! I probably would have this moulding in my cottage on any sized piece of artwork. it is personal taste and preference when it comes to framing. We can offer narrower frames in the Portobello frame range, which are similar and if you would like to see these, just drop us a line. We have plenty of options. We can only show a limited amount of frames here, we have access to many more, something to suit everyone. The Portobello frame is a solid wood, extremely high quality and feels really heavy and luxurious. When you handle the frame and study it closely you are fully aware that you are holding a beautiful hand crafted piece of art. 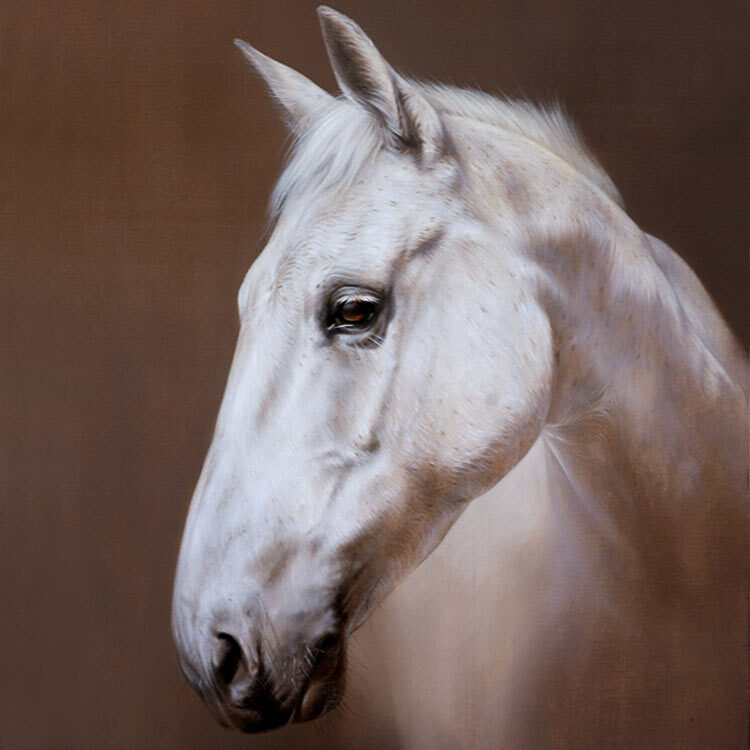 It will match with any of Nicholas' oil paintings as gold and bronze works beautifully with his colour pallet. You can also match it with an inner slip if required, however it isn’t a necessity. As you can see from the photos I have taken below of the Portobello frame, it is a simply stunning and beautiful frame. 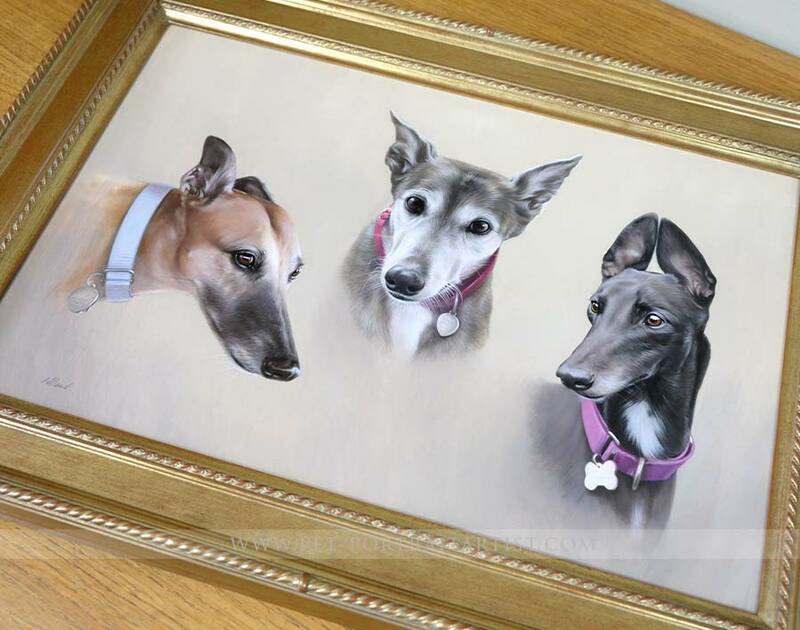 If you would like to order the Portobello frame for your portrait, just let us know. Our frames are usually working to around a 10 week timetable. We order all of our frames bespoke for each client and they are hand made and hand crafted to order. 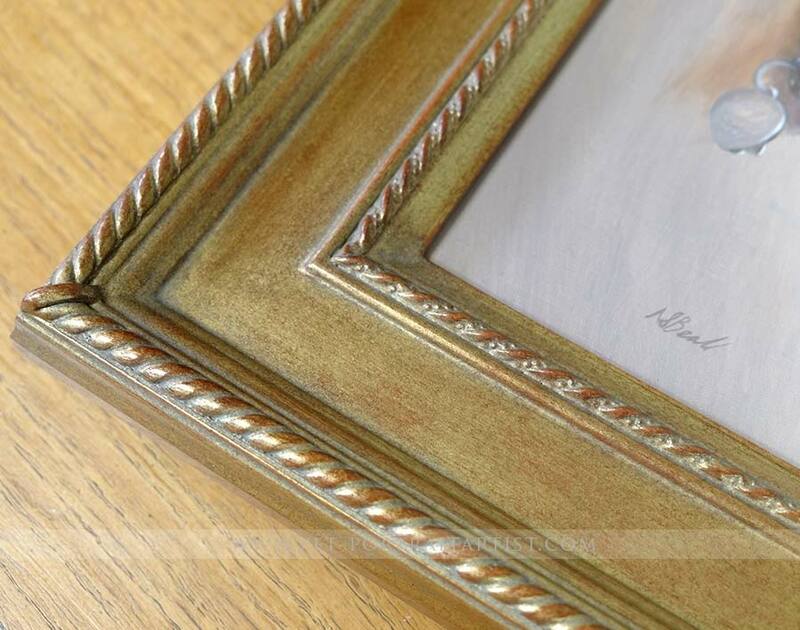 By the time your portrait is complete, your frame will be too! Thank you so much. We all love it! Roly looks great and I see no reason why we would want to change it at all. After we have received it I will be in contact again as we have 2 other dogs, and am sure we will want portraits of them as well. 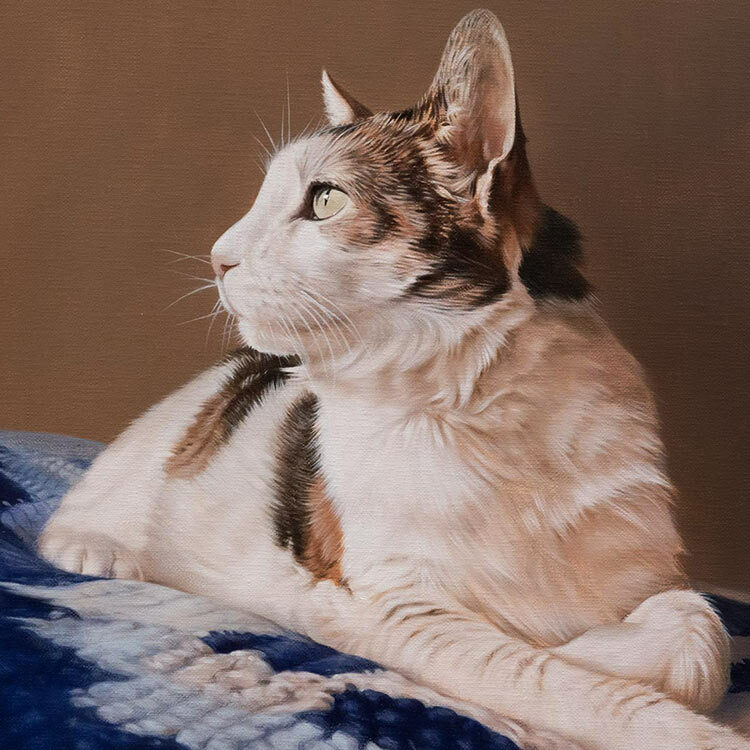 Our Providence is beautiful and is suitable for both oils and pencil pet portraits.